after intercepting a tipped pass and returning it for a touchdown. UNIVERSITY OF SAN DIEGO (02/08/2014) Coming off an 8-3 season, the San Diego Toreros kicked off their first of 14 spring practice sessions Saturday evening at Manchester Athletic Field. 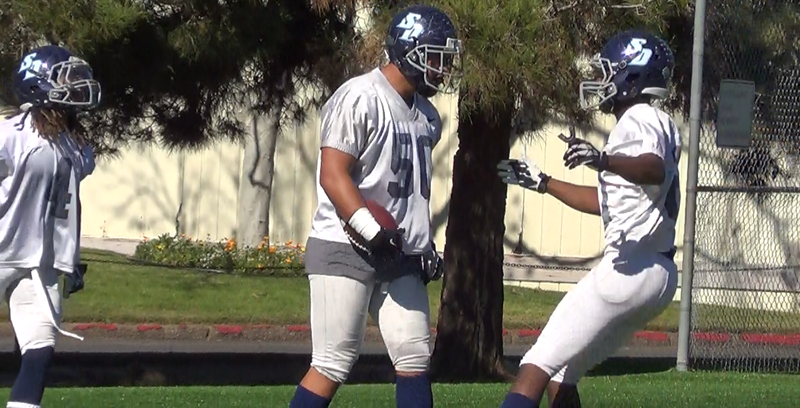 We got our first look at the 2014 Toreros and caught up with head coach Dale Lindsey.